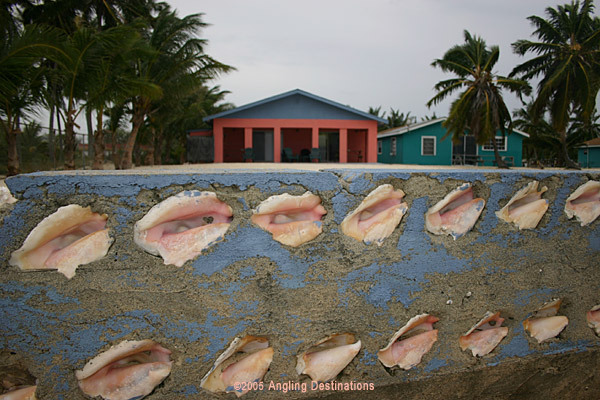 South Andros is a different world than the relatively more sophisticated North Island. If you drive south from the airport at Congotown, you can see this almost immediately. The homes are more simple, the road is rougher and there just seems to be less activity. South Andros just has a rough-around-the-edges feel. And the further south you go, the more remote it becomes. If you keep driving south, eventually you will arrive at the end of the road and the little village at Mars Bay. As you stand on the settlement's primitive concrete dock at the harbor, you’re within hailing distance of some of the world’s best bonefish flats. If you take a deep breath, you can almost smell the great fishing to be had at such legendary areas as Grassy Creek, Hawksbill Creek and Jack Fish Channel. But these famous creeks and flats are just a few of the prolific areas South Andros has to offer. 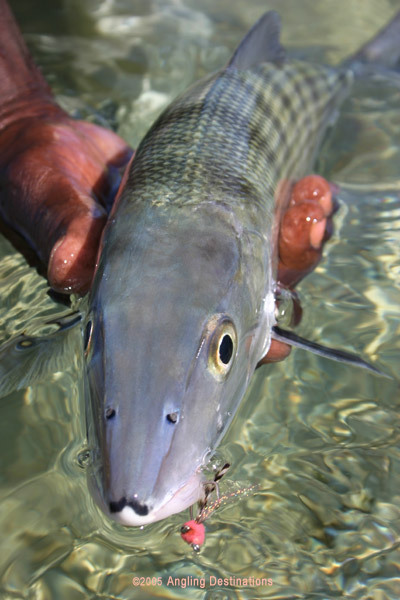 South Andros is, quite simply, a huge area It is a maze of interior creeks (some of which bisect the entire island) and exterior coastal cays (almost all of which have superb bonefish flats). The further south you go, the better the bonefishing becomes. 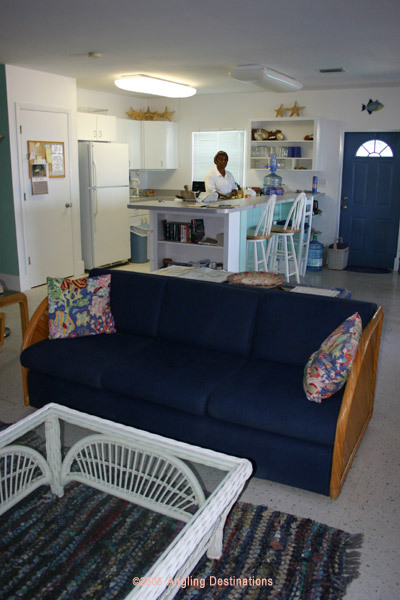 For years, our solution for anglers looking to avoid this transfer time was to book the Mars Bay Bonefish Villa. We sent only hardy anglers to this lovely three bedroom, two bath villa complete with central A/C, satellite TV and a full kitchen. Things at Mars Bay were a bit rough around the edges, but for the right anglers, quite sufficient. Then, in the Fall of 2004, a new American management team, led by Bill Howard, took over at Mars Bay. Bill immediately built additional lodging which included three A/C bedrooms with en suite bathrooms. Bill's team built a wall around the compound, cleaned up the grounds and did a lot of landscaping work. Bill bought two new 16’ Rahming Skiffs bringing the total number of skiffs operated to four. Two skiffs have 60 hp motors and two have 40 hp engines. Then the last piece was put in place to make Mars Bay Bonefish Lodge one of our top bonefish picks in all the Bahamas when Bill hired an excellent crew of local guides. These guides, including the experienced Wilfred Andrews, now man these excellent boats and explore the extensive and protected interior creeks of fabled South Andros. These guides know the areas well from Grassy Cay to Deep Creek and from Hawksbill Creek to Curly Cut Cay. The flats lie from 5-40 minutes away while the coral reefs begin one half mile offshore from at the legendary "Tongue of the Ocean". These coral reefs are expansive and provide excellent opportunities for reef fishing (with an additional daily fee) and snorkeling. While non-anglers are welcomed at Mars Bay, the list of activities available is limited to relaxing, beachcombing and other "ocean-based" pursuits. South Andros has no restaurants or shopping. This is good news for some and not for others! Only you know what makes the non-anglers in your party happy! As such, Mars Bay Bonefish Lodge is a perfect destination for a group of friends looking to get well off the beaten path. The villa can accommodate a maximum of six people while the lodge can accommodate four. Meals are a delicious blend of traditional Bahamian fare (with an emphasis on local seafood) and American favorites. 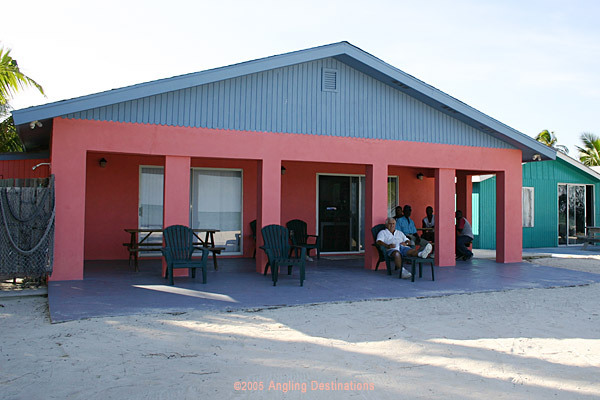 If you're looking for a spot that is far away from the crowds, but with enough amenities to satisfy most anglers, please consider the lovely and well-positioned Mars Bay Bonefish Lodge.